World events, such as the Russian/Ukrainian conflict, have not moved metals as many expected they would have. Market will still likely see lower levels in the near term. If you listen closely, you can hear the whispers amongst the gold bulls. 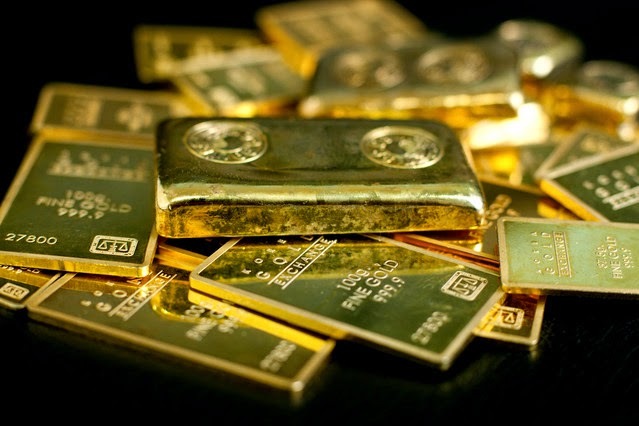 If you listen even more closely, you may even make out the fears of those that believe world events will cause gold to rally, especially since gold has clearly not moved according to the script many in the media have expected based upon recent world events. Yes, there is much confusion based upon gold's recent lack of response to world events. There have been way too many analysts who pin their rally hat hopes upon the Ukrainian/Russian conflict causing a parabolic rise in gold. Time and again, they have noted how the escalation of the conflict can only force gold to rise to new heights. However, I am not sure gold has read those articles. This past week, we all read the news of Russian troops and tanks actually entering Ukraine. Some even labeled it a full out invasion. Yes, this is a scary situation, indeed. It harkens back to the days of Hitler's invasion of Poland, almost exactly 75 years ago to the day. Yet, gold ended the week just about the same place where it began, even though there were no reports that the Russian troops or tanks left Ukrainian borders. In fact, gold is down over 5% from the point that many believed the Ukrainian conflict would cause a parabolic 20%+ rise in the metals, and silver is down over 10% during that same period. Yet, these same analysts claim that it will "eventually" cause that parabolic rise in the metals. They clearly don't let the facts get in the way of their opinions. What I have become so saddened by over the last 10 years of my life is the public's belief that if something is in print, then it is correct, or even worth reading. The amount of printed material that lacks intellectual honesty has only grown with the advent of the internet, and so has the public's gullibility. I have met very few in my life who actually maintain a critical prism through which they siphon information before they accept it for truth. So, I implore each of you to judge everything you read with a critical eye, and simply not accept what you are fed as "truth." So, let's run this news story through a critical prism to test it for "truth." When one takes a flame to a piece of paper, will that paper catch fire 100% of the time? Well, a reasonable person would answer "yes," and can easily understand that the flame was the direct cause of the paper catching fire. Now, if the Russian/Ukrainian conflict was such a flame, would we not have caught fire in gold quite some time ago? But, that has clearly not been the case, even though we now have reports of a potential invasion. So, can we really believe that this conflict should ever be viewed as the proximate cause of any metals rally, should one ensue? If we are being intellectually honest, the answer should be "no." If something is not going to be the proximate cause of a reaction all the time, and if a supposed reaction should occur at some point, after many failed prior attempts, it should be clear to those logically inclined that the perceived cause was not really the true cause at all. So, I continue to question at what point will analysts stop beating this Russian/Ukrainian horse, as it is clearly dead already. I wonder how long it will take them to recognize this "cause" will go the way of the dodo bird in the same way that the China "cause," the India "cause," the QE "cause," etc. have all gone. Does this mean I don't believe that GLD will rally? No, that is not what it means. But, I have to be brutally honest with you and note that the lack of downside follow through this past week has left me questioning if I should take a short term neutral stance as it relates to the GLD pattern I am seeing. While my longer term perspective remains that lower lows will be seen before the gold bull market is resurrected, the immediate action in the market has me a bit perplexed. While the action this past week has caused me to still view GLD as potentially immediately bearish as long as it now remains below 126, silver has a very immediate bearish picture based upon its current structure. So, until silver is able to break its immediate bearish posture, and GLD can break through its 126 level, I am unable to view an immediate move to the 130-133 region in GLD as my primary perspective. Now, another fact to which many point is the action in the US Dollar. Back in April of 2014, I had been preparing those in my Trading Room at Elliottwavetrader.net for a strong reversal in the USD. My expectation was for a bottom to be found within the 79 region, with an upside target for the DXY in the 84 region, all based upon fractal and Elliott Wave analysis. So, those that believe that upward movement in the dollar places downside pressure on the metals have more time and room with which to expect the dollar to rally and the metals to potentially fall. As an aside, I do not subscribe to inter-market analysis, as it has too often led many people astray. So, take this perspective how you will, as it is not a strong support to me for metals to drop. But, clearly, I am not going to expect a strong rally beyond the GLD133 region in the face of the dollar still needing to head up to the 84 region. So, based upon all the factors I am seeing, I am still somewhat immediately bearish of the metals, especially with the pattern I am seeing in silver at this time. But, until we see a strong break below the 119 region in the GLD, the door remains open for GLD to break over the 126 region, on its way to the 130-133 region. And, as I mentioned last weekend, if the metals are unable to take advantage of the current set up to head to new lows in the immediate future, then this consolidation can potentially continue until the end of 2014, which means that the lower lows I expect may not be seen until early 2015, clearly beyond the time I expected to hit those lows as we were coming into 2014. But, I don't run the market. No one does. Linear probabilities favor another low in GDX/metals before a multi-year bottom, in my opinion, thus the base case. But, probability-weighted risk/reward for long term positioning favors being long rather than short. Therefore, unless one is accomplished at trading metals, this is not an environment in which investors should be "trading." Rather, long term investors should be using lower lows to simply add to their long term holdings, especially if we reach the sub-1000 region that I suspect we will see before this bear phase has completed. As Portuguese lender Banco Espírito Santo SA neared collapse this summer, it found a Wall Street ally to help it raise funds: Goldman Sachs Group Inc. Through a Luxembourg financing vehicle created by Goldman, Banco Espírito Santo received $835 million in July, according to a prospectus reviewed by The Wall Street Journal, a time when it was nearly impossible for the troubled lender to borrow directly in the capital markets. At least some of that money was earmarked for an unusual destination: helping finance a refinery-construction project that a troubled Chinese company was running for Venezuela's state oil company. That oil company was a major creditor of companies in the Espírito Santo group. The previously unreported Goldman deal offered a fleeting respite for Portugal's second-largest bank, which was struggling with a cash crunch and a month later was bailed out and broken up by the Portuguese central bank. For Goldman, what started out looking like a lucrative opportunity became a money-loser. The Wall Street bank planned to sell the Espírito Santo debt to outside investors, but Goldman struggled to find buyers, according to a person familiar with the matter. The deal also drew Goldman near the eye of a Chinese political storm. The transaction with Goldman is the latest instance of a Wall Street firm helping finance the Espírito Santo empire via off-balance-sheet vehicles before its demise. Portuguese regulators, for example, are investigating special-purpose vehicles, administered by Credit Suisse Group AG, that bought debt from Espírito Santo companies, the Journal reported last month. The latest twist in the Espírito Santo saga started last September, when Venezuela's state oil company, PDVSA Petroleo SA, known as PDVSA, awarded an $834 million contract to a Chinese company named Wison Engineering Services Co. The contract, awarded just days after Chinese police detained Wison's controlling shareholder in an oil-industry corruption crackdown, was to help build an oil refinery in Puerto la Cruz on Venezuela's coast. It marked the biggest such contract in Latin America for a Chinese company and a rare international foray for Wison. Banco Espírito Santo at the time had a substantial presence in Venezuela. It had opened a Caracas branch in January 2012, part of an ambitious global growth strategy, and served as banker to the Venezuelan government and PdVSA on multiple projects. A Banco Espírito Santo marketing presentation this year touted Venezuela as "an important market," noting the large community of Portuguese expatriates there. PDVSA, meanwhile, held significant sums of Espírito Santo debt, making it one of the family-owned conglomerate's largest creditors, according to a person familiar with the relationship. Banco Espírito Santo's financial problems were intensifying amid revelations of accounting problems at its parent company. Earlier this year, Banco Espírito Santo wrote to PDVSA seeking to reassure it that it would make good on its debts, according to a person familiar with the so-called comfort letter. In May, Banco Espírito Santo approached Goldman to set up a special-purpose vehicle named Oak Finance Luxembourg SA. 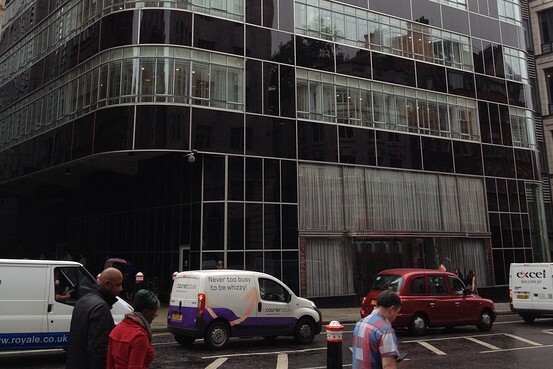 Banco Espírito Santo wanted to use the vehicle to raise dollar-denominated funding, which was growing scarce due to the bank's financial troubles, according to the person familiar with the relationship. 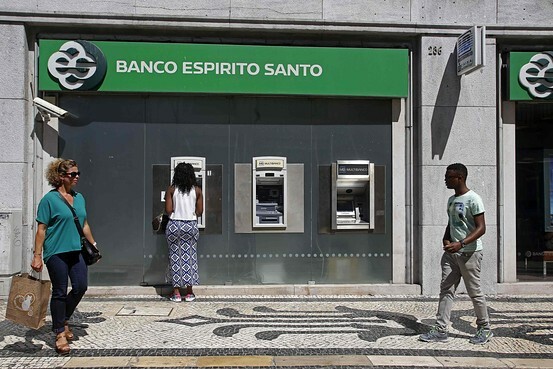 On July 3, locked out of bond markets and bleeding cash, Banco Espírito Santo borrowed $835 million from Oak Finance, according to the prospectus. The borrowed funds were for purposes including trade financing for Wison Engineering on PDVSA's Deep Conversion Project, according to the loan agreement included in the Oak Finance prospectus. Wison, which is listed on the Hong Kong stock exchange, has struggled following the police detention last September of its founder and controlling shareholder, Hua Bangsong. The 48-year-old Mr. Hua, later formally arrested on unspecified bribery charges, is one of several Chinese oil-industry executives and senior government officials detained in a broad corruption investigation. Chinese authorities haven't detailed specific allegations against the men. Mr. Hua hasn't made a court appearance and couldn't be reached for comment. Wison says the investigation casts doubt on its ability to stay in business, noting last week that it is in default on some of its bank obligations. Nonetheless, Wison announced on July 21 that it had started its phase of construction activity on the Venezuelan refinery project, although it said it had subcontracted out the work to Chinese state-owned companies. Wison said in a statement that such subcontracting arrangements are normal and declined to comment about financial aspects of the project. The same day that Banco Espírito Santo tapped the Oak Finance loan, Oak Finance issued $785 million of debt with annual interest rates of up to 3.5%. Goldman, which served as arranger and dealer for the transaction, bought the debt and hoped to sell it at a profit to outside investors. At first, the arrangement appeared lucrative for Goldman. It stood to collect fees from Oak Finance that "will be materially higher than the fees and/or commissions typically charged in vanilla bond transactions," according to the prospectus. But Banco Espírito Santo's financial difficulties made it hard for Goldman to attract buyers. During July, customers and creditors of the Portuguese lender yanked €3.35 billion ($4.4 billion) of funds, leaving the bank with "a severe liquidity shortfall," according to Portugal's central bank. The bank's shares plunged 80% before its Aug. 3 bailout. Goldman eventually sold a slug of the Oak Finance debt, at a loss, to hedge funds that specialize in distressed debt, according to a person familiar with the market activity. Goldman is still holding some of the debt, which has lost value, this person said. The fate of the Oak Finance debt is unclear. The sole collateral on the bonds is Oak Finance's $835 million loan to Banco Espírito Santo. Despite the bank's collapse, that loan is supposed to be repaid. It was among the liabilities transferred to Novo Banco, the "good bank" that Portugal carved out of Banco Espírito Santo when it was bailed out in August, according to Moody's Investors Service. —James T. Areddy contributed to this item. NEW YORK – Two years ago, Shinzo Abe’s election as Japan’s prime minister led to the advent of “Abenomics,” a three-part plan to rescue the economy from a treadmill of stagnation and deflation. Abenomics’ three components – or “arrows” – comprise massive monetary stimulus in the form of quantitative and qualitative easing (QQE), including more credit for the private sector; a short-term fiscal stimulus, followed by consolidation to reduce deficits and make public debt sustainable; and structural reforms to strengthen the supply side and potential growth. It now appears – based on European Central Bank President Mario Draghi’s recent Jackson Hole speech – that the ECB has a similar plan in store for the eurozone. The first element of “Draghinomics” is an acceleration of the structural reforms needed to boost the eurozone’s potential output growth. Progress on such vital reforms has been disappointing, with more effort made in some countries (Spain and Ireland, for example) and less in others (Italy and France, to cite just two). But Draghi now recognizes that the eurozone’s slow, uneven, and anemic recovery reflects not only structural problems, but also cyclical factors that depend more on aggregate demand than on aggregate supply constraints. Thus, measures to increase demand are also necessary. Here, then, is Draghinomics’ second arrow: to reduce the drag on growth from fiscal consolidation while maintaining lower deficits and greater debt sustainability. There is some flexibility in how fast the fiscal target can be achieved, especially now that a lot of front-loaded austerity has occurred and markets are less nervous about the sustainability of public debt. Moreover, while the eurozone periphery may need more consolidation, parts of the core – say, Germany – could pursue a temporary fiscal expansion (lower taxes and more public investment) to stimulate domestic demand and growth. And a eurozone-wide infrastructure-investment program could boost demand while reducing supply-side bottlenecks. The third element of Draghinomics – similar to the QQE of Abenomics – will be quantitative and credit easing in the form of purchases of public bonds and measures to boost private-sector credit growth. Credit easing will start soon with targeted long-term refinancing operations (which provide subsidized liquidity to eurozone banks in exchange for faster growth in lending to the private sector). When regulatory constraints are overcome, the ECB will also begin purchasing private assets (essentially securitized bundles of banks’ new loans). Now Draghi has signaled that, with the eurozone one or two shocks away from deflation, the inflation outlook may soon justify quantitative easing (QE) like that conducted by the US Federal Reserve, the Bank of Japan, and the Bank of England: outright large-scale purchases of eurozone members’ sovereign bonds. Indeed, it is likely that QE will begin by early 2015. Quantitative and credit easing could affect the outlook for eurozone inflation and growth through several transmission channels. Shorter- and longer-term bond yields in core and periphery countries – and spreads in the periphery – may decline further, lowering the cost of capital for the public and private sectors. The value of the euro may fall, boosting competitiveness and net exports. Eurozone stock markets could rise, leading to positive wealth effects. Indeed, as the likelihood of QE has increased over this year, asset prices have already moved upward, as predicted. These changes in asset prices – together with measures that increase private-sector credit growth – can boost aggregate demand and increase inflation expectations. One should also not discount the effect on “animal spirits” – consumer, business, and investor confidence – that a credible commitment by the ECB to deal with slow growth and low inflation may trigger. Some more hawkish ECB officials worry that QE will lead to moral hazard by weakening governments’ commitment to austerity and structural reforms. But in a situation of near-deflation and near-recession, the ECB should do whatever is necessary, regardless of these risks. Moreover, QE may actually reduce moral hazard. If QE and looser short-term fiscal policies boost demand, growth, and employment, governments may be more likely to implement politically painful structural reforms and long-term fiscal consolidation. Indeed, the social and political backlash against austerity and reform is stronger when there is no income or job growth. Draghi correctly points out that QE would be ineffective unless governments implement faster supply side structural reforms and the right balance of short-term fiscal flexibility and medium-term austerity. In Japan, though QQE and short-term fiscal stimulus boosted growth and inflation in the short run, slow progress on the third arrow of structural reforms, along with the effects of the current fiscal consolidation, are now taking a toll on growth. As in Japan, all three arrows of Draghinomics must be launched to ensure that the eurozone gradually returns to competitiveness, growth, job creation, and medium-term debt sustainability in the private and public sectors. By the end of this year, it is to be hoped, the ECB will start to do its part by implementing quantitative and credit easing. Nouriel Roubini, a professor at NYU’s Stern School of Business and Chairman of Roubini Global Economics, was Senior Economist for International Affairs in the White House's Council of Economic Advisers during the Clinton Administration. He has worked for the International Monetary Fund, the US Federal Reserve, and the World Bank.